At American Water TX, our Austin water softener and filter experts have been utilizing their extensive knowledge of Kinetico’s line of products to help Austin residents customize home water systems for over 28 years. 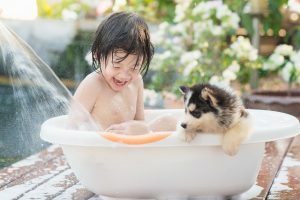 We understand the needs that individuals living in Austin and surrounding communities have when it comes to choosing a water filtration system or water softener system for their home, and we believe that our incredible experience combined with Kinetico’s top of the line products are best suited to meet those needs. Our experts are happy to answer any questions you may have about our Kinetico product line and how these items can improve quality of life for you and your family. We can help you create a customized home water system that both addresses your needs and fits your budget, so do not hesitate to contact us today. The experts at American Water TX can help you determine your exact needs and then help you customize a Kinetico home water system that is right for you. To learn more about our Kinetico product line-up, or to make an appointment with one of our water filter experts, please call us at (512) 388-0022 today.